Are there elephants in Sri Lanka? Which color do post boxes in Sri Lanka have? Wimmelfotoheft #5 is not only fun for children, but for Sri Lanka fans of all ages. It has almost no text, but many, many photos. With the "Wimmelfoto Game" at the end you can check whether you have spotted all the details. More than 100 photos invite you to wonder and enjoy highlights of a fascinating country. 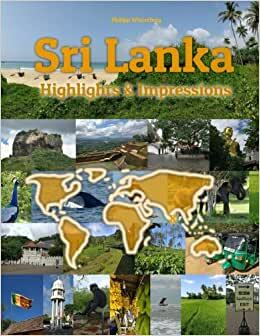 Start reading Sri Lanka Highlights & Impressions on your Kindle in under a minute.